The most probable number (MPN) bioburden test method can be a valuable tool for determining bioburden counts when the typical bioburden test methods are problematic on a particular product or when a test needs to detect low levels of bioburden. Common bioburden determination techniques utilize the removal of microorganisms by elution—microorganisms are removed from the product through an extraction process (i.e., an extraction-based bioburden method). 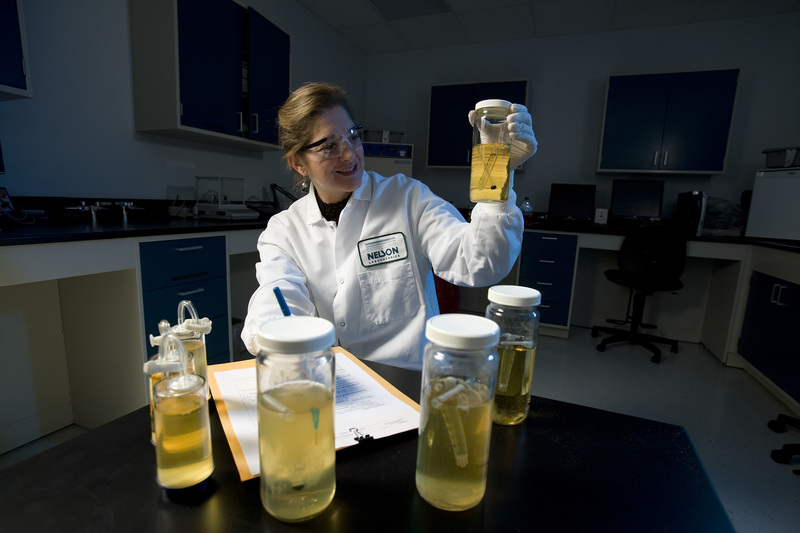 The product is immersed in a sterile fluid and extracted using a shaking method. The solution is then filtered through a 0.45-micron filter that is placed onto agar; the agar is incubated, and the bioburden growth is counted. Some products are not easily extracted, or after extraction, the extraction solution cannot be filtered or plated. Food and cosmetics are good examples of products that often need bioburden counts, but extraction-based methods are not possible or feasible for them. For these types of products, the most probable number (MPN) test is an effective means of determining bioburden counts. The MPN test method also works well for medical device, pharmaceutical, and tissue products that are difficult to extract because of the nature of the product. The MPN method tests the actual product, not an eluent of the product, by placing the product into liquid growth medium, similar to a test of sterility. A recovery efficiency determination is not applicable, as the MPN does not involve removal of the bioburden by extraction. The suitability of the MPN method is determined by demonstrating the ability of the test to detect microorganisms in the presence of the product. In USP <71> this is called a method suitability test, also commonly known as bacteriostasis/fungistasis (B/F). The method suitability test that is used to qualify an MPN test is performed in the same manner as a method suitability test used to qualify a sterility test. The product bioburden is evenly or randomly distributed in or on the product. There are not isolated areas of high bioburden in or on the product when a sample item portion (SIP) of <1.0 is used. High bioburden counts (spikes) are not present on individual product units within batches of product. While being immersed in the media, the media gains access to all areas where microorganisms might reside. The presence of a single microorganism will result in visible turbidity. Assumptions 1, 2, and 3 above are important for healthcare products because there are times when only a portion of the product is used in the MPN test rather than the entire product. If these three assumptions are not correct for a particular product, the MPN test will provide erroneous results; either higher or lower than the true value depending on which portion of the product was tested. The MPN approach functions best when the results demonstrate fractional growth, when at least one test article is positive for growth and at least one test article is negative for growth in the sample set. There are many reasons for using the MPN method when testing medical devices, pharmaceutical products, or tissue-based products. Typically, this method is used when traditional extraction and filtration testing methods are difficult to perform given the physical nature of the product (e.g., powders and gels). MPN testing may also be appropriate when the product does not lend itself to removal of the bioburden by extraction, pour plating, or either method. It is also helpful in accomplishing a more sensitive limit of detection, for example when a low radiation sterilization dose is desired and the product bioburden count is low. MPN testing can also be useful when testing adhesives, coatings, and tissue samples because the bioburden can be in locations not easily removed using extraction methods. Microorganisms in adhesives (e.g., bandages) and under coatings (e.g., a lubricant added to a product to increase lubricity) will usually not be extractable in a traditional bioburden test; however, they can grow when immersed in a liquid growth medium and incubated in an MPN test or test of sterility. Microorganisms can be trapped in or under adhesives (e.g., wound dressings). These types of products are sometimes difficult to test using extraction-based bioburden methods as these methods are not rigorous or lengthy enough to remove the trapped microorganisms. These situations may result in an underestimation of bioburden counts, which can result in too many samples showing positive for growth in a test of sterility for a radiation sterilization study. In investigations of failed radiation sterilization studies, one of the primary root causes is underestimation of bioburden. In some cases, investigation has demonstrated that the microorganisms are indeed imbedded in the adhesive and an extraction-based bioburden test was insufficient in detecting those microorganisms. With products such as adhesives and coatings, the imbedded bioburden can be quite high, so it might be necessary to test significantly smaller portions of the product until fractional growth is obtained. For example, for one test, a lab had to reduce the portion of product tested to only a 1/256th portion before fractional growth occurred, yet the extracted bioburden for this product was less than 20 CFU. Coatings on a product can manifest the same problems discussed regarding adhesives. Not only can microorganisms be present on the surface of the product prior to applying the coating, but microorganisms can be in the coating solution. The approach taken for testing of coated products is usually the same as for adhesives. One item to note is that microorganisms present on the surface of the product prior to coating may not be randomly distributed. These same principles apply to bioburden testing of powders and gels. 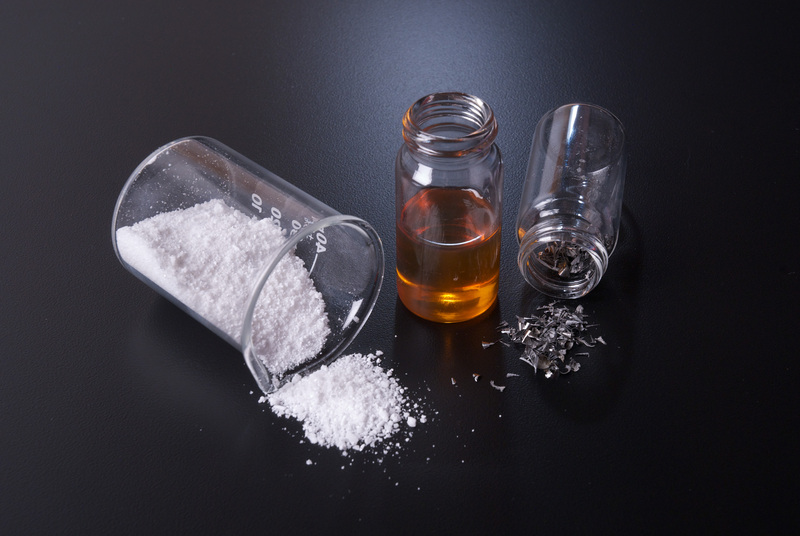 Products in a powder state can present a challenge to testing with extraction and filtration test methods. They can coat the filter, which then either obscures growth or causes microorganisms to spread across the filter. Clumping of product can also be an issue when attempting to assess the bioburden by pour plating with agar, which makes product look like colonies in the agar. A gel product can also present the same problems with extraction and filtration as well as direct plating. Tissue products present an interesting scenario. Sometimes tissue products are tested via MPN because of oils or particulate matter, which might be problematic for an extraction and filtration or spread or pour plate methods. Processed tissue is usually low in bioburden, which makes obtaining fractional growth in an MPN test more likely. Another reason that tissue is tested via MPN is when there is a desire for the most sensitive bioburden test possible, usually in an effort to validate a low radiation sterilization dose. In most cases of MPN testing of tissue, an SIP of 1.0 is used, meaning that the entire tissue product is tested. This means the demonstration of random distribution on an individual tissue product is not required; rather, it is important to demonstrate random distribution of the bioburden between samples and from batch to batch. Usually, the primary issue with proper implementation of MPN for tissue is neutralization of residual chemicals or antibiotics, which makes the previously mentioned method suitability test critical. In the VDmax tables from ISO 13004:2013, the first entry states that if the average product bioburden is less than or equal to 0.1 CFU (≤0.1), the corresponding verification dose is 0 kGy. This is because the value of 0.1 CFU is only obtained when one product unit out of 10 tested demonstrates microorganism growth. This is identical criterion to the verification dose and test of sterility, in which one sample out of 10 tested can be positive for growth. Most extraction-based bioburden methods are not sensitive enough to resolve down to 0.1 CFU. The extraction volumes being used compared with filtration volumes and recovery efficiency corrections can result in higher corrected counts. With most microbiological tests when 0 CFU are recovered, the data are recorded as less than the limit of detection of the test (e.g. <1, <3). When bioburden test results are 0 CFU on the agar plates, and there are volume factors and recovery efficiencies to deal with, it is not known whether the count is truly 0 CFU or whether the limits of detection are masking the true count. Kowalski et al describes an option for calculating these lower values under certain circumstances; pooling of product into groups for bioburden testing (e.g., pooling 10 samples together into one test).2 Pooling is another good option for extraction-based test methods; again, under the right circumstances. However, when extraction-based test methods are problematic, MPN may be the best option if the desired result is a low radiation sterilization dose, or verification that the product bioburden is truly 0 CFU. In determining whether MPN testing is appropriate for a product, the first step is to either rationalize a random distribution of microorganisms across the product based on knowledge of the manufacturing process or to perform testing that proves random distribution. Manufacturing processes such as spraying or dipping would be expected to deposit microorganisms in a random fashion because of their even distribution in a liquid solution. As mentioned previously, the MPN test cannot be accurately performed unless it is known that the microorganisms on the product are randomly distributed, which might also be called evenly distributed. The media and incubation conditions used should be determined based on knowledge of the microorganisms expected to be present on the product. This information is determined through historical data (if available), an understanding of the raw materials, observation of the manufacturing environment, and other aspects that affect the product bioburden. Soybean casein digest broth (SCDB, also called tryptic soy broth or TSB) is a commonly used, general-purpose medium that sufficiently facilitates growth of aerobic bacteria, yeast, and mold within incubation parameters of 7 days at 28-32⁰C. This medium is also generally used for the test of sterility. Fluid thioglycollate medium (FTM) is also commonly used for total anaerobic growth with the same incubation parameters (7 days at 28-32⁰C). For products that might contain strict anaerobes, such as tissue-based products, performing additional testing using FTM should be considered. Above: A scientist scoring MPN samples as positive or negative for growth. Image courtesy of Nelson Labs. The MPN equation for bioburden determination is as follows (see Cochran et al for the scientific explanation). 3 It must be noted that the initial publication of the new bioburden standard, ISO 11737-1:2018, contains the wrong MPN equation and is in the process of being corrected. When no growth is observed in any of the test units, the MPN cannot be calculated, because the formula results in an error. In this case, it is common to assume a single positive unit for calculation purposes and treat the resulting bioburden as a “less than” value. See the example below. Although it is acceptable to assume one positive result to calculate an MPN when all samples are negative for growth, it is not acceptable to assume one negative result for calculations if all of the samples are positive for growth. When there is fractional growth in an MPN test, the samples that demonstrate growth are understood to be positive as a result of the presence of very few microorganisms on the product (e.g., 1 or 2 CFU), not because of a high number of microorganisms on the product. If all samples tested in an MPN test are positive for growth, it is not known whether they are all positive because of low bioburden counts on the products (e.g., 1 or 2 CFU) or high bioburden counts (e.g., 1000 CFU). The end result of both of these examples is positive growth, at which point it is indistinguishable whether the initial bioburden counts were low or high. At this point, repeating the test using a smaller portion of product is required. The MPN test is discussed in detail in FDA’s Bacteriological Analytical Manual (BAM) and provides tables for sample sizes of 3, 5, 8, and 10 samples. Although a minimum sample size of 3 can be used, a sample size of 10 is recommended because it is a commonly accepted number for most bioburden testing purposes. Also, the chances of obtaining fractional data are better with larger sample sizes. SIP is the “defined portion of a health care product that is tested” and is included in the MPN calculation to adjust for the portion of the sample tested. For example, when an SIP of 0.25 is tested, or ¼ of the test article, then 1/0.25 = 4, which is the number used to adjust the MPN test to represent the entire product. An SIP of 1.0 is ideal, however, if an SIP of <1.0 has been tested and there is no growth in any of the test units, then a larger SIP should be considered for testing. Example 3: Background for this example is that commonly the entire device is initially tested (SIP of 1.0) for the MPN test. If, however, all test containers yield a positive result, a smaller portion of the sample should be tested to yield fractional growth. Thus, if all test articles are positive for growth with an SIP of 1.0, this demonstrates that the test method is inappropriate for that SIP and a smaller SIP is more appropriate (e.g., SIP of 0.5 or 0.25). In a radiation validation, the initial MPN test of 10 products yielded all samples being positive for growth with an SIP of 1.0. An additional MPN test was performed on another 10 products, but in this case each is cut in half and only one half of each product is tested (SIP of 0.5). In this test, 6 of the 10 samples are positive for growth. These are acceptable data for an MPN test because of the fractional growth. Note, when an SIP less than 1.0 is tested as part of a radiation validation (as in this example), ISO 3-2 requires that at least 85% of SIPs tested are positive for growth. However, when SIPs are used in an MPN bioburden test and when fractional growth is obtained (i.e., not all samples are either positive for growth or negative for growth), this requirement does not apply. In the example given here, the SIP of 0.5 is appropriate for the bioburden test, but the test of sterility should be performed using an SIP of 1.0. If an SIP less than 1.0 is desired for the test of sterility, it would be necessary to rationalize use of that SIP. Since the MPN test is specifically mentioned in USP and AAMI/ISO guidelines, regulatory bodies should accept it. However, the test method has been questioned on occasion, not because of the validity of the method but because of other factors such as a regulatory body misunderstanding its use or a manufacturer not being able to defend it properly. To be prepared for such issues, it would be wise to fully justify the MPN test method in a memo to the file. It is also helpful that someone be available who fully understands the justification to explain its use if necessary and to periodically evaluate that it is still appropriate. The MPN method is a valuable tool in the tool belt of a sterilization microbiologist, but it must be clearly understood and carefully implemented. If this method is used incorrectly, it can be problematic for a healthcare manufacturer from a sterilization and/or regulatory standpoint. This reinforces the importance of having knowledgeable microbiologists and sterilization experts involved in both the initial establishment as well as routine maintenance of test methods or sterilization process. There can be great benefits to using the MPN test. Some companies manufacture products that are difficult for bioburden testing because the products are not easily tested by extracting the bioburden from the product. Occasionally, these companies spend significant time and effort trying to fine tune the extraction-based bioburden method to make it functional for their product, when in actuality another test method, such as MPN, would work significantly better. Other companies desire a low limit of detection for the bioburden test of those products. Sometimes the low limit of detection is required by the sterilization method, but application of typical bioburden test methods cannot provide it. The MPN test, when used appropriately, can satisfy any of these needs. Sutton, Scott, “The Most Probable Number Method and Its Uses in Enumeration, Qualification, and Validation,” Journal of Validation Technology. 16(3): 35-38, 2010. Kowalski, John B. “Estimation of Average Bioburden Values for Low-Bioburden Products,” MD+DI. July 2011, 38-41. Cochran, W. “Estimation of Bacterial Densities by Means of the Most Probable Number,” Biometrics. 6:105-116, 1950. Editor's note: The byline on this article has been updated. Esther Patch, B.S., serves as Adjunct Faculty at Utah Valley University. Trent Teeples, B.S., serves as Sterilization Engineer at BD. Sean Shepherd, BS, RM/SM (NRCM), Senior Study Director; and Martell Winters, BS, RM/SM (NRCM), CISS-RAD, Director of ScientificCompetency expert, are both with Nelson Labs, a Sotera Health company.